How can we use existing spaces in cities better? 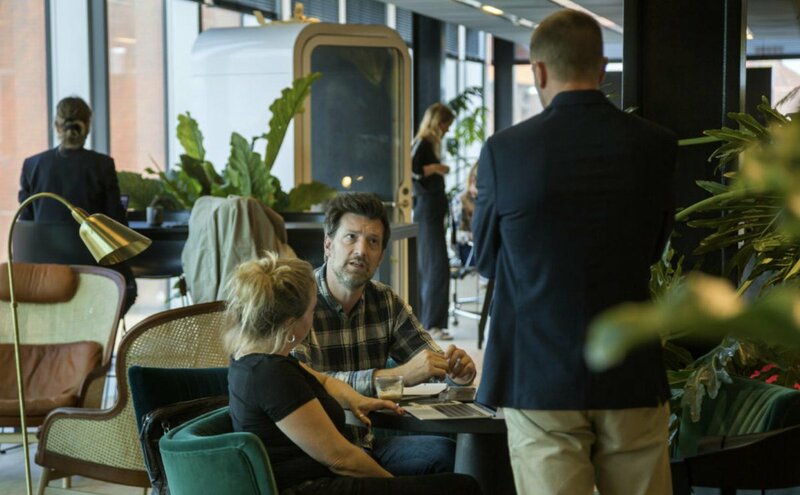 BLOXHUB and ERIK Arkitekter hosted a Match & Create workshop to find new concepts for dense city centers. We need radical new solutions to meet the challenge of lack of affordable housing and space in major cities all over the world. This is the clear message from partner in ERIK Arkitekter, Morten Ørsager, who initiated a Match & Create workshop on urban density with BLOXHUB. “As architects in cities, we are always asking ourselves how we can use the space better,” he says. The two-day workshop was held in BLOXHUB and brought together architects, urban planners, developers and researchers to co-create new ideas for existing urban areas. 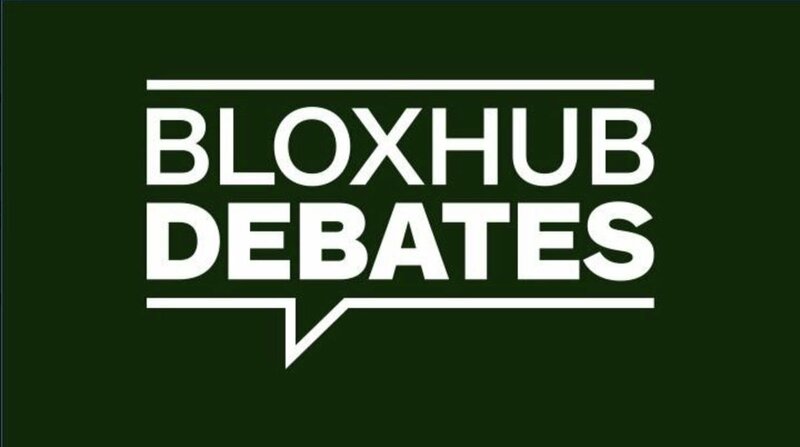 BLOXHUB is Scandinavia’s leading urban innovation hub and is founded on the belief that the challenges of global urbanization and climate change require a collaborative approach. Matchmaking and tailored workshops are an essential part of this co-creation process. Lack of space in general, and affordable housing in particular, is a challenge for cities across the world. Copenhagen alone will lack 50.000 homes by 2025, according to projections for housing demand. Economist Curt Liliegreen from The Knowledge Centre for Housing Economics explained that, similar to other major cities, Copenhagen is the center of massive urbanization caused by exponential growth and job availability. At the same time, the most attractive areas of the Danish capital are still concentrated around a tiny nucleus, compared to other cities. In contrast to cities like London and New York, many Danes consider areas 30 minutes from the city as suburbs. And the so-called “Fingerplan“, an original urban plan for Copenhagen from 1947, prevents extensive urban sprawl around the capital. “Do we have the space to build in the suburbs? Yes. But it will not affect the prices. It just means that low-income groups, similar to other cities, will be pushed out of the city center,” said Curt Liliegreen. Faced with this challenge, the participants began designing solutions. The premise for the workshop was “why not,” challenging conventions for space and ownership. “Let’s ask ourselves: What do we actually own?” said Morten Ørsager from ERIK Arkitekter. “We can own a building or a football field, but who owns the air above a building or the ground underneath it? Can we place a server station or a cooling station underneath a football field? Or, in 20 years’ time, a mobile home in the air? The three groups were asked to develop new elements for dense city spaces using a holistic mindset where design, materials and construction is based on the newest knowledge within the circular and sharing economy. One of the participants was Urban Power who focuses on urban transformation. Urban Power wants to target the areas that take up the most space per citizen, including infrastructure and so-called “building prints.” Another take on density in the city came from Logik & Co. “We want to contribute to solutions that means that Copenhagen continues to be a city for everyone, not just for people who can afford to pay expensive rents. We need to challenge existing practices.” says Balder Johansen, CEO of Logik & Co. Focusing on reconnecting the suburbs to the cities and revitalizing them. Many residential areas have unused spaces in yards which could be used for temporary housing for students or seniors. Green houses or the garden areas themselves could be opened up to create new common spaces and communities. Similarly, temporary housing could be put up in unused industrial areas combined with cafés, concert hall or other multipurpose common areas. Copenhagen already has numerous dwellings on rooftops with gardens, terraces and more, as Krydsrum Arkitekter’s project illustrates. Companies like Logik and co. in this working group have specialized in sustainable refurbishing of rooftop areas in residential buildings. They presented a new system for production of ready-made modules more efficient and sustainable manner than today. How can the water around Copenhagen be used better? With numerous houseboats and the first floating container housing for students already in place, group 3 focused on multipurpose temporary housing. Prams with containers that could work as office spaces by day and Airbnb rentals by night. The pram “village” would also include public spaces such as kayak rental, cafes, sports and recreational areas. ATV Tech Talk: Mød Peter Svarre: Hvad skal vi med mennesker i et samfund med kunstig intelligens? 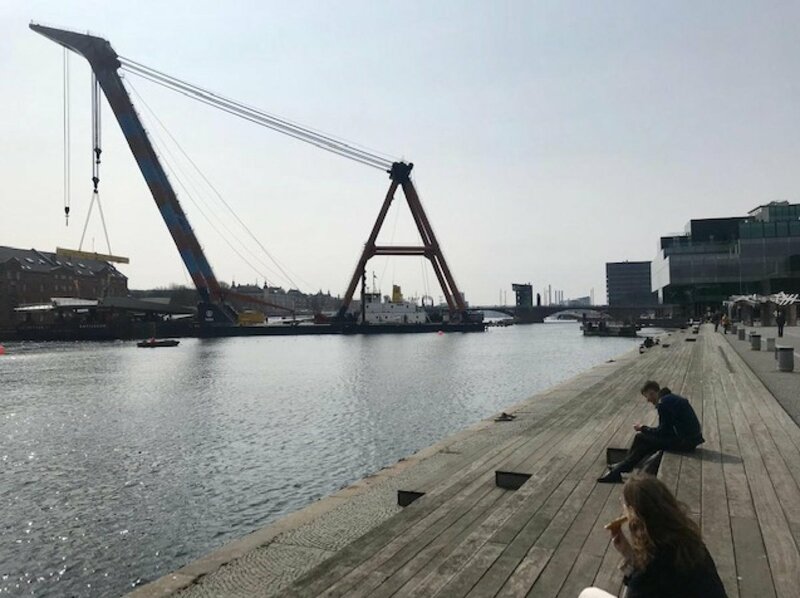 @koebenhavner's new bridge for 🚲 and 🚶🏻‍♀️ is on its way! It will be located right next to BLOXHUB! Soon, we can bike and walk across the harbour without direct pollution from cars on the main bridge. Huge thanks to @Realdaniadk for this wonderful gift to the City of Copenhagen! 1 year ago, we welcomed the first residents to our co-working space in the BLOX building. 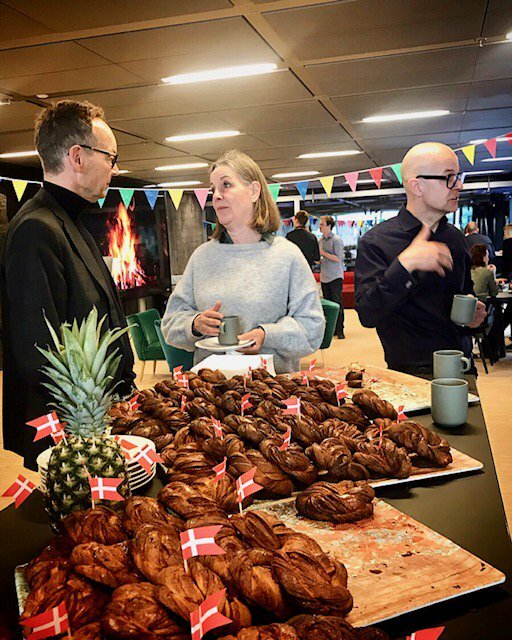 Today, 91 companies (=576 people) have their office in BLOXHUB.We are extremely happy that all these brilliant people moved in to network and help co-creating a better urban future! 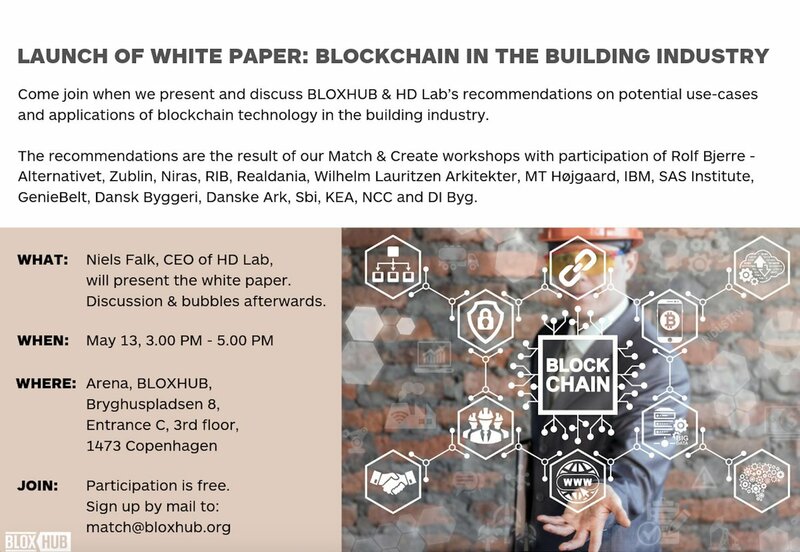 Come join us when we, together with HD Lab, @nielsfalk and @smith_dk, launch a small white paper with recommendations to the building industry on how to use blockchain.PLEASE NOTE THAT THE DATE IS CHANGED FROM APRIL 2. TO MAY 13.!